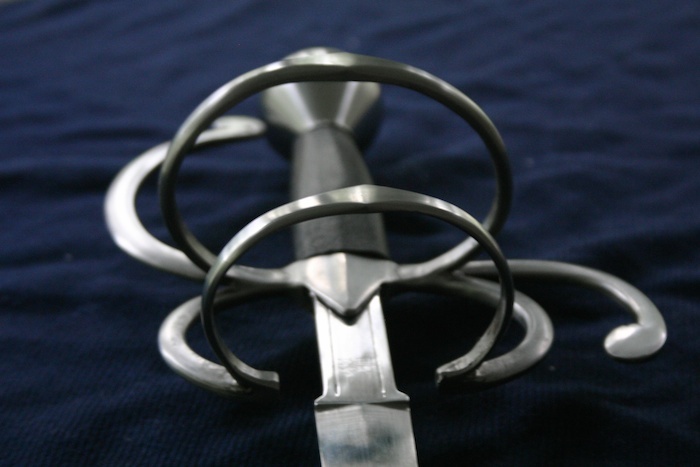 Here's another simple rapier....I'm trying to make sure I have some less expensive swords on my table for "Weapons Night" at the National Stage Combat Workshop in July. That said, this is available now if it grabs your fancy. 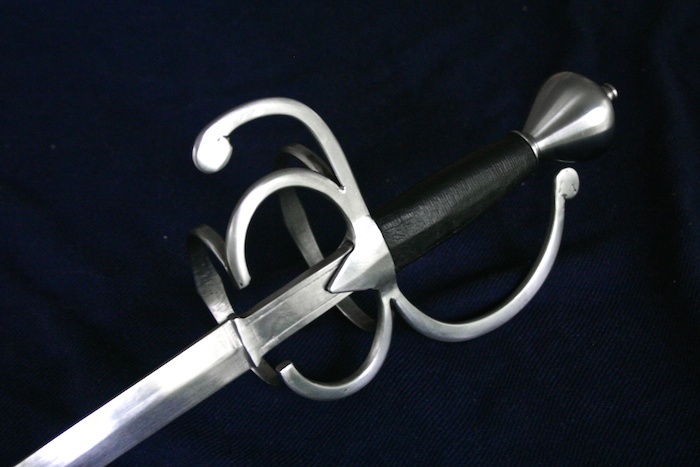 It's a pretty basic design with two side rings and no counterguard. The grip is leather covered hardwood...nothing fancy. 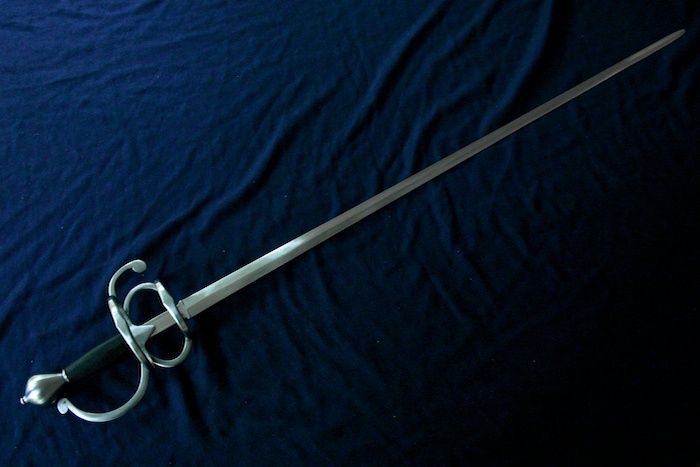 The blade is 36", and the sword is 41.5" overall. It weighs just a hair over 2 lbs. 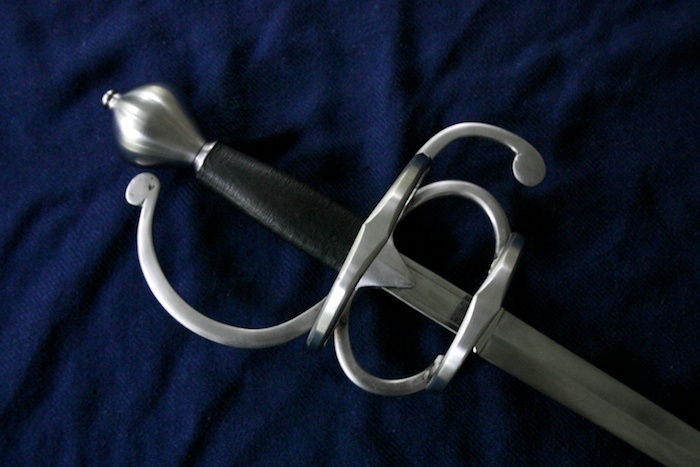 and balances a half inch in front of the guard. 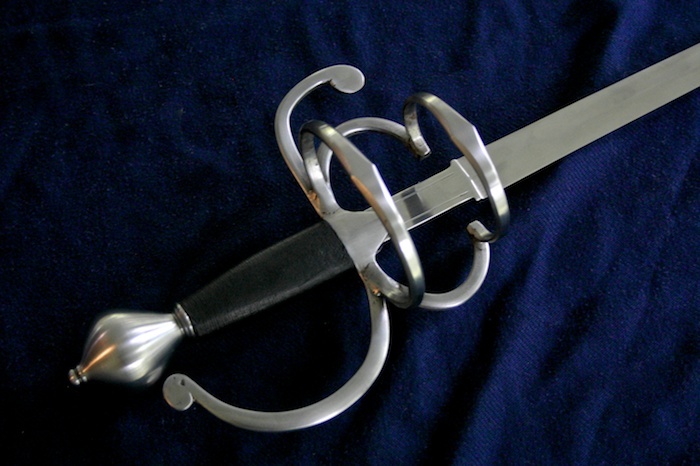 If you prefer a longer (or different) blade, let me know. wow. Less is more. I really like the clean lines. I really like the simple but elegant design. 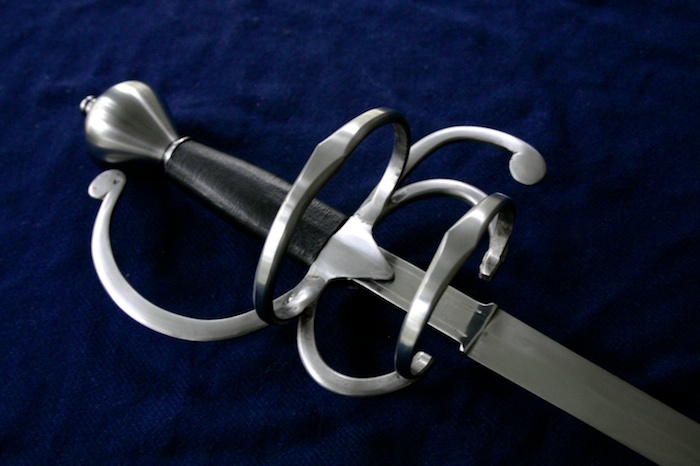 both of the simple rapiers you posted lately are nice, but this especially speaks to me.